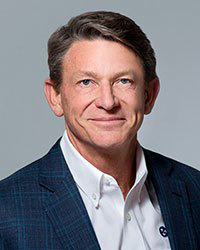 Randy Boyd, interim president of the University of Tennessee System, has announced the creation of the UT Promise Program, a new initiative modeled after the state’s popular Promise and Reconnect programs, which will cover tuition and fees for students with an incomes of less than $50,000 a year. The program is set to begin in fall 2020 and will certify that UT continues to accomplish its mission of providing a gateway to success for Tennessee’s low-income and middle-class residents, Boyd said. Students will be eligible to enroll in the UT Promise program if they attend an undergraduate program at one of the system’s campuses. Students are also required to be a recipient of Tennessee’s HOPE scholarship, and the school would pay the remaining costs of tuition and fees after other grants and federal aid are applied, according to the Tennessean. Students participating in the program will be matched with volunteer mentors and will complete four hours of service learning each semester. UT Promise was also created to decrease the overall debt that students accrue after leaving the school. Currently, 46 percent of UT students graduate without any debt.